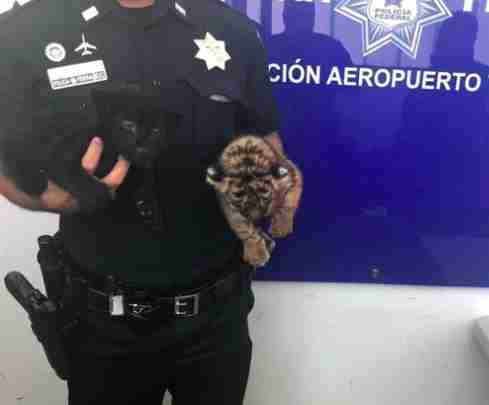 Patrolling Tijuana International Airport late last week, canine officers with the Mexican Federal Police sniffed out a box that turned out to be smuggling some extra-precious cargo. 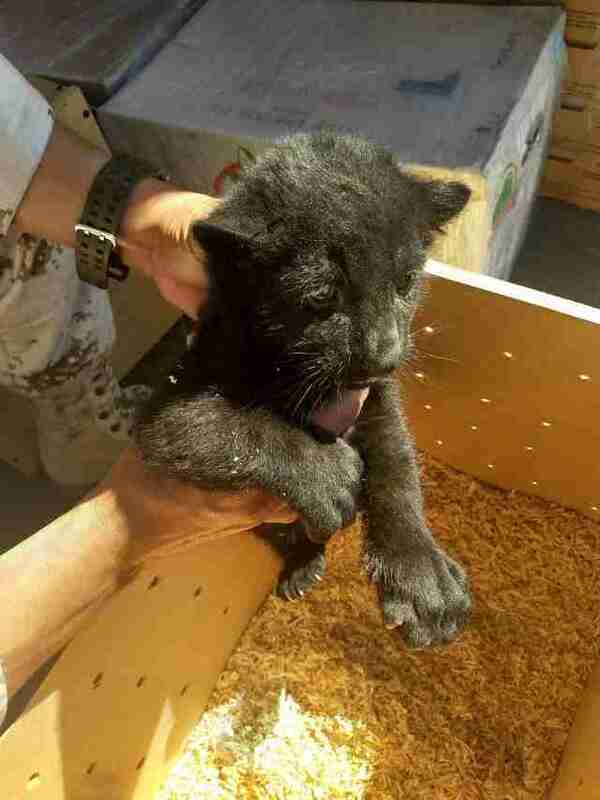 Stuffed inside an unmarked wooden box filled with paper shavings, a jaguar cub and a tiger cub peered up at police after the box was pried open. Only a few weeks old, the cubs were clearly exhausted and scared from the stressful trip. While it’s unclear where the cubs came from or where they were headed, officers were elated to save two little lives. Unfortunately, these cubs are only the most recent big cat cubs found being illegally shipped in Mexico. Last month, federal authorities searching through mail found a 2-month-old Bengal tiger cub that someone had been trying to ship inside a duct-taped plastic storage bin. 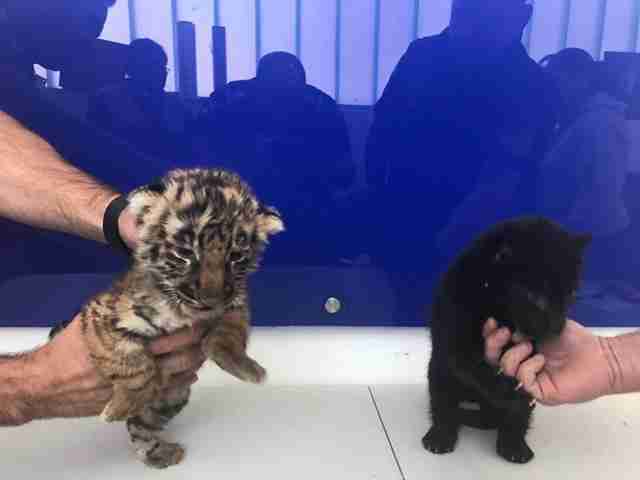 It’s likely that the tiger and jaguar cubs who were just found were being smuggled so they could be sold as pets or as an attraction for a roadside zoo. According to Prashant Khetan, chief executive officer for Born Free USA, cubs smuggled through Mexico are likely to have been bred within North or Central America, and are often sold as pets. Once they grow too large to be handled by people, they are also typically sold to a zoo or another animal attraction. In Mexico in particular, Khetan added, some resorts also have employees walk sedated animals around for guests to pet and photograph. While it’s unclear what will happen to these particular cubs, the best hope is to have them transferred to a sanctuary.